Madawaska Police Lt. Jamie Pelletier’s career as a police officer extends well beyond the badge. Pelletier’s story began on May 21, 1971, when he was born at a hospital in Edmundston to the owner of a car dealership and stay-at-home mother. He grew up in Madawaska, where he has lived all of his 47 years. After working with his father at the car dealership, Pelletier wanted to follow his father’s path. He went to Northern Maine Technical College to get his degree in automotive technology. However, after his first year, Pelletier switched gears at the influence of his uncle and cousin, who were both sheriff’s deputies. He began pursuing his own career in the field. Pelletier attended the University of Maine at Fort Kent’s criminal justice program from 1991 to 1993, continuing to work at his father’s dealership. When he graduated, the Madawaska Police Department had no full-time openings. “I was a service manager at my dad’s dealership, and he was dealing with the public in a retail-type environment. It would have been a conflict if I would have had to deal with my customers as a police officer in my off time from the dealership,” Pelletier said. So, in 1999, he became a security officer for Vescom Corp. at what was then Fraser Paper, and took a part-time position with the Madawaska Police Department. In 2002, Vescom promoted him to account manager, but he left the company in 2003, when a full-time position opened at the Madawaska police station. He worked as a patrolman until 2015, when he became police sergeant. lieutenant and supervisor of the sergeant and patrolmen. According to Dubois, Pelletier’s promotion was based on his leadership skills and his ability to recognize the importance of responsibility, authority and accountability. As lieutenant, Pelletier also is lead investigator for the police department and works with state Department of Health and Human Services staffers in handling child, adult, elderly and sexual abuse cases. He served as sergeant until March 2018, when he became a half-time school resource officer during the day, when not working on police cases. 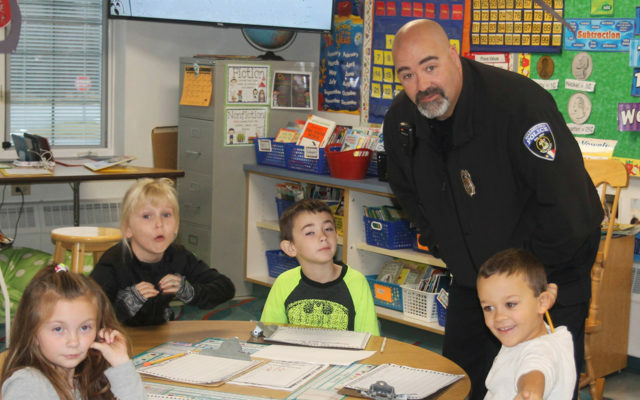 Pelletier said he happily agreed to the SRO post because he wanted to step into a positive environment where he could be a role model for the Valley’s youth. He works with students and implements programs on various safety topics. He even brought in a team to cover distracted and drunk driving simulations. In his off time, Pelletier enjoys photography, and Madawaska officials sought him out to contribute photographs of the area for use in the town’s annual report. At home, Pelletier is a father and husband who says his family means the world to him, and while his family comes first, if he ever misses a family event, he tries to make it up to them. “I try to be the best husband and father I can be,” he said.